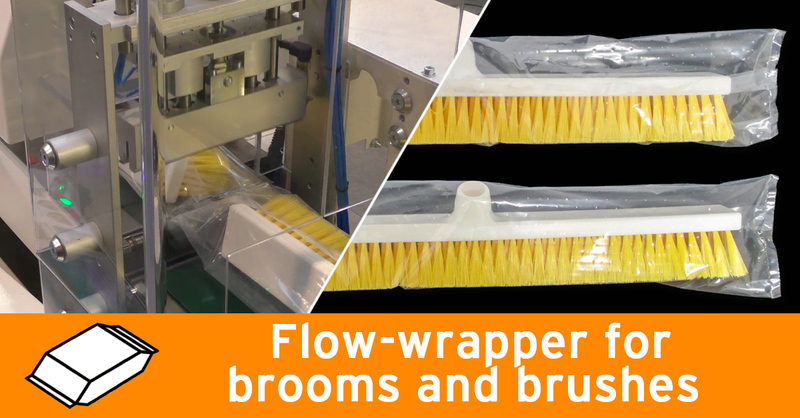 The packaging machine Micropac Intermittent is perfect to wrap products of different length like these brooms and brushes just with a few a and easy adjustments. The machine is activated when the product is leant against the sensor, easing the manual loading. Bags are in polyethylene. Visit our YouTube channel and learn more about our machines and systems for household and personal care products, such as sponges, brooms, rubbish bags, washing powder and much more.